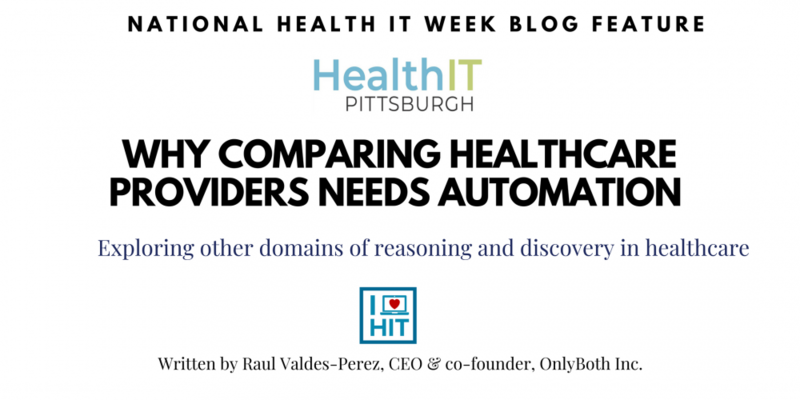 By Raul Valdes-Perez, CEO & co-founder, OnlyBoth Inc.
I’ve lived for years in the same area of Pittsburgh, where the streets don’t follow a grid design since it’s hilly and pre-dates the automobile. Oftentimes before driving to a familiar destination, I’ll check Google Maps, which alerts me to a favored route that I didn’t even know existed. I act on the suggestion which usually turns out great. Automated mapping helps me discover new routes not because I’m spatially challenged, but because the software explores side streets which motorists like me don’t consider. Instead, motorists tend to consider the larger, familiar streets that head toward their destination. Using Artificial Intelligence (AI) concepts, we say that mapping software searches for solutions within a larger space of possibilities than people do. Is this unique to mapping, or can this happen in other domains of reasoning and discovery? How about healthcare? In healthcare, benchmarking typically compares a provider’s value on some measure to the averages of other providers in the same state and nationally (e.g., this comparison at Medicare.gov’s Hospital Compare site), perhaps indicating how much of an outlier the provider’s value is. This narrow focus misses much that is of value. An artificial-intelligence approach to automation asks whether there is a larger space of possible solutions – or valuable insight types – that is ignored by this sole focus on state and national averages. Indeed, there is. Each of the following examples below goes beyond the scope of the typical focus. Each shows an opportunity for the provider to improve, rather than to laud or promote, which could be shown instead. Let’s use nursing homes to illustrate, although the arguments concern all healthcare sectors. Provider has the most short-stay residents who were re-hospitalized of everyone within 20 miles. Here the peer group is geographically nearby, within 20 miles, which addresses the competitive goals of providers, and the needs of consumers or patient referrals, better than in the same state. In California, only Provider has both as many short-stay residents who were re-hospitalized and as many short-stay residents who had an outpatient emergency department visit. Two highly-related attributes are paired, thus revealing a joint outcome which is an outlier. Provider has the most short-stay residents who were re-hospitalized of everyone with so few short-stay residents who had an outpatient emergency department visit. This peer group is formed by those who do comparatively well on a related measure, in this case, fewer short-stay residents who had an outpatient emergency visit. However, within that peer group, the Provider stands out unfavorably. Perhaps this indicates a specific localized cause, rather than a broader one. Provider is the only nursing home in California that is non-profit and got worse on all change measures over the last two years. Here there is no numeric measure being compared. Instead the Provider is reported as the only one with a specific combination of attribute values, one of which (got worse on all change measures …) is unfavorable. Of everyone in California with at most 20% of short-stay residents who were re-hospitalized, only Provider had a deficiency in how to ensure that a nursing home area is free from accident hazards. As before, the peer group is formed by those who do comparatively well on some measure, in this case, fewer short-stay residents who were re-hospitalized. However, the outlier behavior isn’t another measure, but instead a yes-or-no outcome. These insights are far outside the scope of the typical benchmarking approach as used in the Medicare Compare and analogous services. Does that matter? In general, explicit, transparent peer-comparison should motivate performance improvement, especially if it reveals unfavorable behaviors or outcomes compared to peers that are perceived as relevantly similar. These motivations could be some mix of market response, professional ideals, or organizational reputation. The above five examples uncover performance deficiencies or opportunities for improvement and are concise, factual, motivating, language-based comparative insights that are not surfaced by the usual comparisons to state and national averages. They won’t be uncovered without automation, because the space of possible insights is immense due to the many ways that data attributes can be combined. Healthcare benchmarking needs software automation in order to uncover and report comparative performance insights that are invisible to status-quo methods, which do simplistic, biased comparisons and hence fail to sufficiently motivate performance improvement. Route planning got it. Healthcare should too. 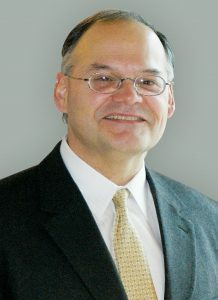 Raul Valdes-Perez, CEO & co-founder, OnlyBoth Inc.
Click here to learn more about OnlyBoth Inc.